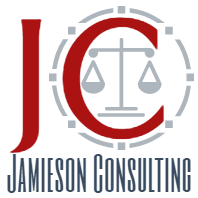 Jamieson Consulting has experience forming corporations and limited liability companies in New York, Massachusetts and Delaware and drafting the associated Stockholder Agreements, bylaws, corporate minutes and Operating Agreements. Also included in Jamieson Consulting’s experience is the preparation of founder equity issuance documentation and debt instruments as well as the negotiation of employment agreements and intellectual property assignments. Jamieson Consulting also acts as an advisor to your Board of Directors. Jamieson Consulting has drafted Terms and Conditions and Privacy Policies for multiple businesses in the technology and services industry as well as for businesses offering consumer travel services, professional communication platforms, neighborhood calendar platforms, and manufacturing services. Jamieson Consulting has negotiated commercial leases for office space as well as fitness centers, massage studios and manufacturing space. Leases have been for existing commercial space as well as new construction and have involved complicated build-outs as well as simple relocations. Jamieson Consulting has represented multiple franchisees in both Massachusetts and New York involved in the provision of consumer services, personal training, exercise facilities and wedding apparel. Looking for assistance with the launch of a new business venture?